The President of Somaliland, Ahmed Mohamed Mahmoud, and Turkish Ambassador, Cemalettin Kani Torun, agreed that Turkey will open a consulate in Hargeisa, Somaliland, in order to assist the fourth round of talks between Somaliland and Somalia to be held in January 2014, and also strengthen commercial and economic ties between the two partners. The President H.E Ahmed Mohamed Mahmoud (Silanyo) met with Turkish Ambassador H.E. Cemalettin Kani Torun for Somaliland- Somalia and it was agreed that Turkey would open a consulate in Hargeisa soon. The Turkish envoy delegation comprising of Turkish businessmen at the Presidential Palace discussed several issues including the upcoming Somalia-Somaliland talks which are expected to resume next year [2014 ]in Istanbul, Turkey. President Silanyo flanked by Vice President Hon Abdurrahman Abdullah Ismael Sayli'i further discussed how Somaliland and Turkey would not only foster political relations but also how to increase trade and investment as means of reinforcing commercial and economic relations. Hon Mohamed Bihi Yonis, Minister of Foreign Affairs later speaking during a press briefing said, "Both sides have agreed on the significance of doubling the existing political and commercial exchange in the coming years and developing mutual relations in the field investment we now have a moment of opportunity to build stronger ties at all levels between our business worlds. 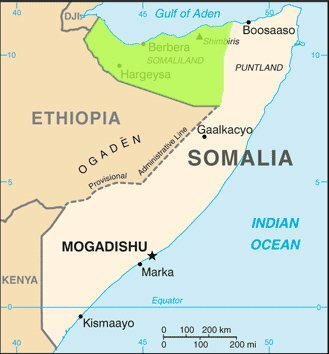 Turkey will host a fourth round of talks between Somaliland and Somalia in January 2014, led by President Ahmed Mohamed Mahmoud Silanyo and President Hassan Sheikh Mohamud, respectively. The new consulate office in Hargeisa will assist in maintaining momentum for the Dialogue process. The next round of talks between the governments of Somaliland and Somalia, due to take place in Turkey in January 2014, will cover a range of issues, including the management of air space, cooperation on the fight against terrorism, piracy, serious crime, illegal fishing and the dumping of toxic waste at sea, as well as economic development focusing on the encouragement of international aid, trade and investment. The FM also said the Turkish government will open a consulate in Hargeisa while Somaliland is also expected to open in Ankara in the near future, he also revealed the Turkish government to will increase the educational Scholarships to Somaliland Students. Through greater diplomatic and economic engagement, historic relations between Somaliland and Turkey, which have spanned centuries, will only deepen further."